We are a manufactuing company with a very strong engineering department, managing all the necessary resources to provide the best service possible. It is common in our company to invest weeks, months and sometimes of years into researching, prototyping and testing solutions to complex industrial challenges. A new generation of savvy engineers. Maritime Hydraulic invests seriously in research, developing innovative solutions. Innovation is in our daily routine, every time we come to work. 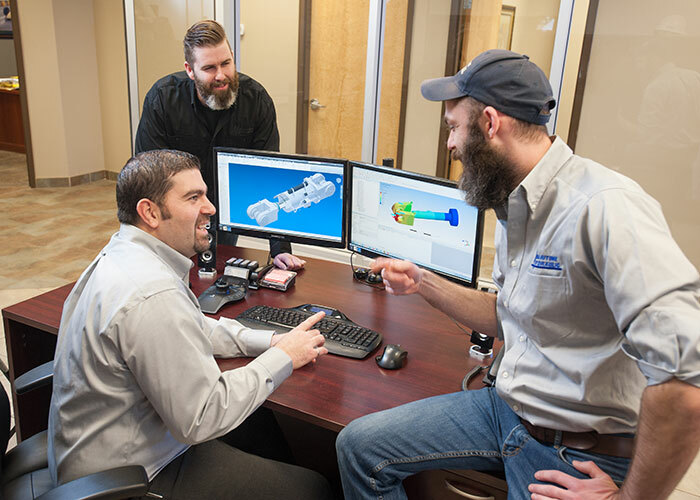 There is nothing that make us happier than to collaborate with our customers in finding solutions, manufacturing those solutions, commissioning them and seeing them work.